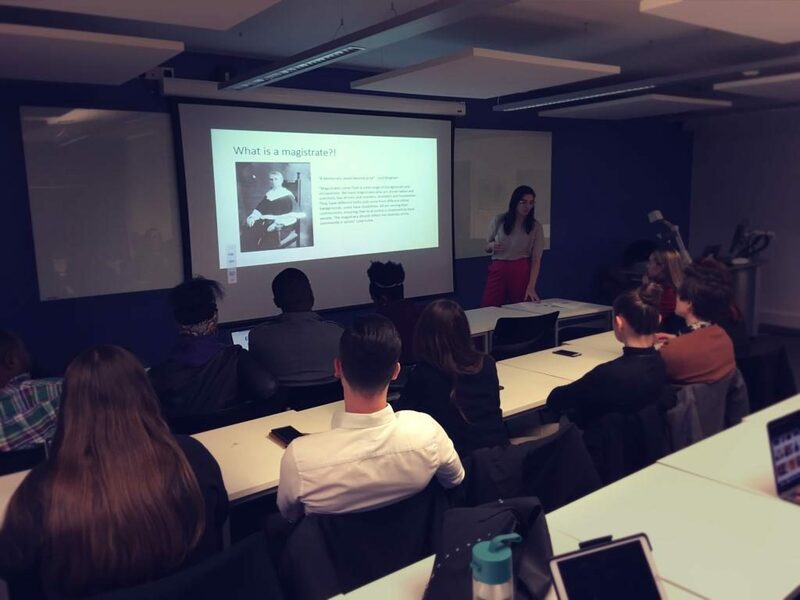 Former Leigh Day solicitor and sitting Magistrate, Katherine Sirrell, visited The City Law School on Tuesday 12th March 2019, in order to talk to City students about the Magistrates’ Court which deals with the overwhelming majority of criminal cases. Katherine is a lawyer for the Government Legal Department. 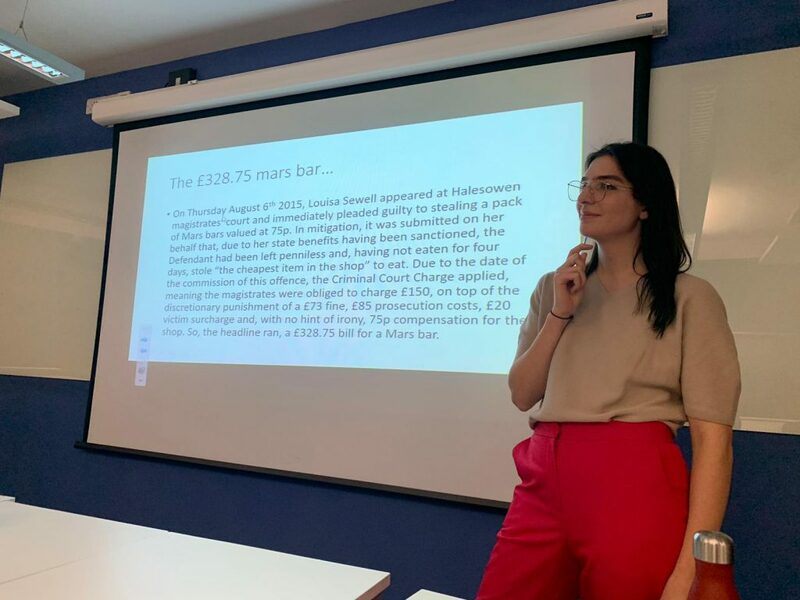 This interactive talk gave us an insight into the pressing issues affecting our justice system, providing us with great talking points for interviews and written applications. She specifically focused on why there is such a lack of diversity and the issues she faces when at work. The English dictionary states that a Magistrate is ‘a civil officer who administers the law, especially one who conducts a court that deals with minor offences and holds preliminary hearings for more serious ones’. In some definitions, magistrates are defined as: ‘a person who acts as a judge in a law court that deals with crimes that are less serious’. Katherine told us to not confuse magistrates as judges. She wanted us to think of them as a jury with judicial powers and responsibilities. Another common misconception people have of magistrates is that there is a distinction between a Lay magistrate and a Stipendiary magistrate. Katherine explained that there no longer is a distinction as ‘all magistrates are lay magistrates. Lord Bingham defines a magistrate as ‘a democratic jewel beyond price’. Lord Irvine describes his vision of a magistrate’s role in the following way; ‘Magistrates come from a wide range of backgrounds and occupations. We have magistrates who are dinner ladies and scientists, bus drivers and teachers, plumbers and housewives. They have different faiths and come from different ethnic backgrounds, some have disabilities. All are serving their communities, ensuring that local justice is dispensed by local people. The magistracy should reflect the diversity of the community its serves’. According to Katherine, one of the key problems within the magistracy is that training is not comprehensive enough. Magistrates are not legally trained. They have legal advisors with them in court and only undertake a 2-day (about 10 hours) training course before they can sit on the Bench for the first time. More specific types of training, e.g. domestic abuse training and unconscious bias training, are also offered regularly. This way people specialise in more specific areas and therefore deal with these cases, so the system moves more efficiently. Katherine argued that empathy is missing. She told us that it can often be the case that magistrates are not fully engaged with modern society, quoting statistics from 2010 showing that out of 30,000 magistrates only 145 were under the age of 30. This can mean that often, older magistrates have a different approach to society and fail to empathise with victims or defendants. 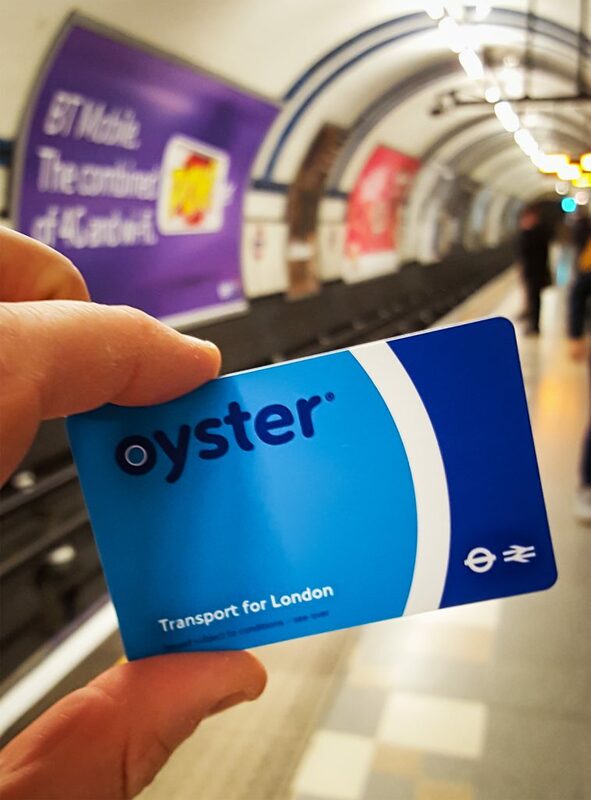 One example Katherine gave us was that she had to take half an hour to explain to her colleague and fellow magistrate (who was much older) what an Oyster card was. I argued that being empathetic could be a problem as it may cloud your fair judgement when you take into account someone’s personal life within our society. However, Katherine made me realise that empathy is not sympathy. She said it is important to understand one’s world and take these things into account in order to understand the situation more fully and formulate a better judgement. In other words, social awareness is vital. In relation to age, statistics show that in 2004, the legal age to become a magistrate reduced from 27 years of age to 18. One Master’s student argued that this was absolutely ridiculous as he felt that 18-year olds are too young to judge someone’s future and form a verdict that essentially affects one’s life either for the best or worse (sending them to prison or not). Katherine argued that age is just a number and that an 18-year old may have experienced much more than for example, someone aged 50. She said that it is not about life experience at all, but how you apply your experiences. I added to this by arguing that the young can be more aware of our society and more open than older people who may be close-minded and conservative in their views. Katherine agreed and argued that this was another issue within the justice system, reaffirming that there is a lack of diversity and younger magistrates. It was unsurprising to note that diversity issues are not only found in relation to age and class or life experience but also in ethnicity and social background. London has the highest number of BAME magistrates but the lowest diversity levels proportionately to the local community it serves. The Magistracy deals with the overwhelming majority of criminal cases and yet the Bench (even in London) is hugely unrepresentative of its community. Unfortunately, this means that the justice system is suffering. 97% of criminal cases are dealt within The Magistrates’ Court which at the bottom of the court hierarchy. This causes problems when the Government implements spending cuts, it could be said that the magistrates feel the cuts more keenly and are affected most heavily. For instance, cases with representation used to take half an hour, and now for those representing themselves (perhaps because they are not eligible for funding) this can stretch to 3 hours or more. Magistrates are volunteers and therefore do not get paid. Another key issue highlighted by Katherine is that often people don’t turn up – simply just getting expenses to travel to the court may not be worthwhile. This can mean that sometimes magistrates have to form a bench of two rather than three (it should be one chairman and two wingers). The obvious issue with this is that only having two magistrates on the Bench means that there would be no majority. Another example from Katherine to show the pressures on the magistracy, was illustrated by the situation in Windsor prior to the royal wedding. The Vagrancy Act 1824 makes it an offence to sleep rough or to beg in a public space and is punishable by a fine. Windsor used this Act to clear their streets in advance of Harry and Meghan’s big day. Cases for rough sleeping and begging increased by 70% to cut funds for shelters etc. This meant that magistrates had a steep increase in cases coming before them, causing the justice system to struggle further. Thank you to the Pro-Bono Society for organising such a great event. Also, a big thank you to Katherine Sirrell for such an informative and engaging evening. Katherine is keen to hear from students with ideas on bringing about diversity within the Magistrates’ Court. Thanks to Angjelina Ahmeti for this excellent review. 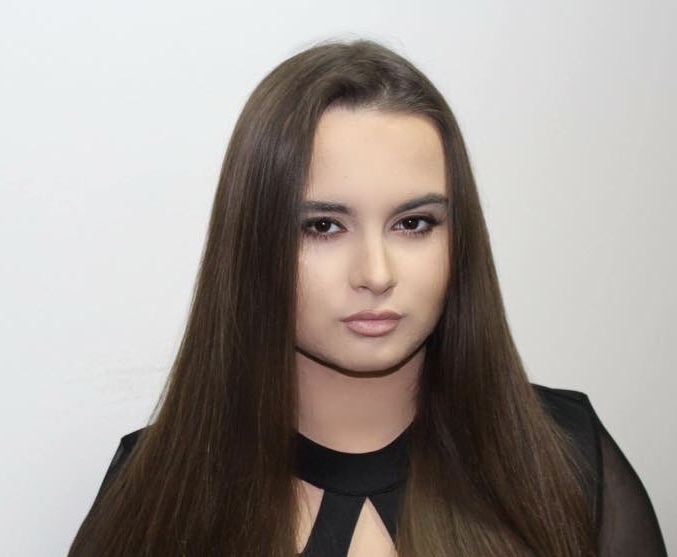 Angjelina is an LLB1 student at The City Law School. She is very interested in Human Rights and hopes to pursue a career in this field.